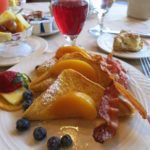 Desert and Dale Chihuly Glass - Ambassadors of World Food Tourism. 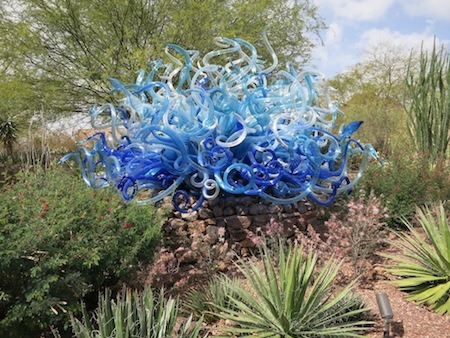 We recently had the chance to visit the Desert Botanical Garden in Phoenix, Arizona. 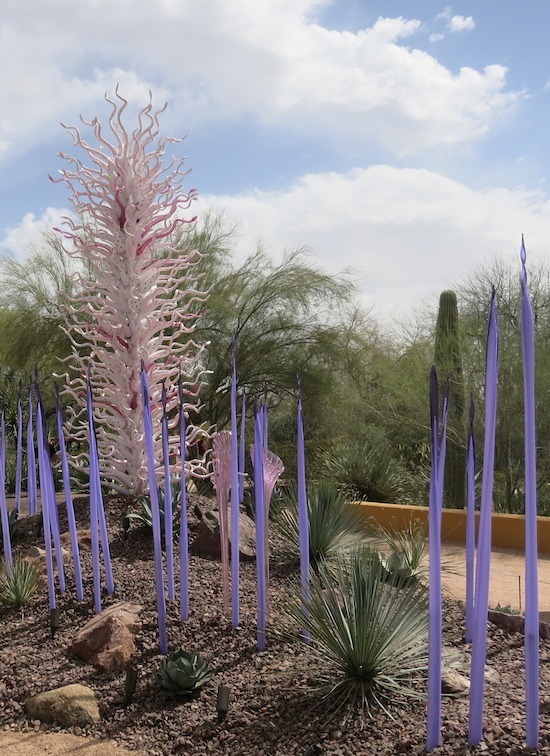 We were pleasantly surprised to discover that world famous glass artist, Dale Chihuly, would be on exhibit for Chihuly in the Garden. 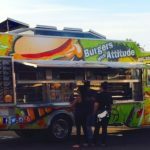 We braved the long lines and were rewarded with a beautiful and restoring afternoon in the desert. 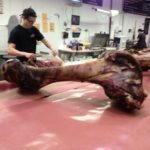 We wanted to share some of our photographs of that day. 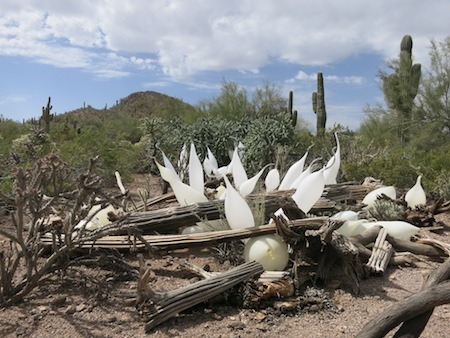 If you find yourself in Phoenix we would highly recommend the gardens and this unique and memorable exhibit which runs through May 18th. 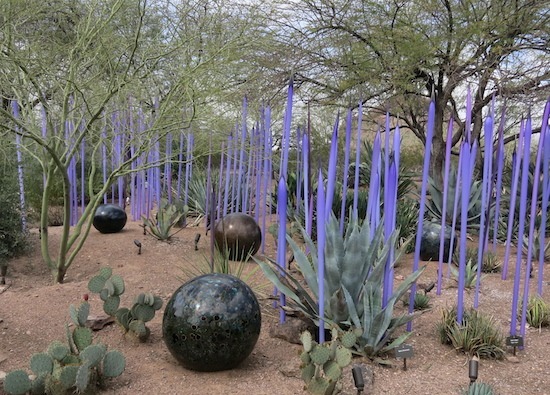 Chihuly glass belongs in a garden. 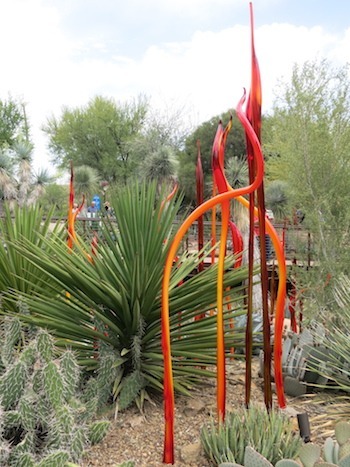 The organic nature of the design makes each piece at home in the open space of the desert garden. The bursts of color throughout the gardens were unexpected yet fit in so well. At night the displays are lit. We’re guessing this one looks like a bonfire. These shapes take on an almost aquatic feel. 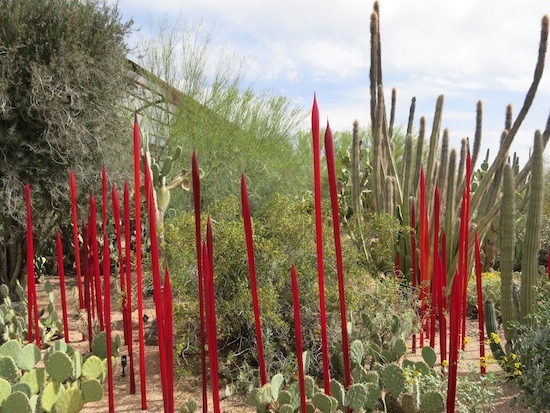 The red spears could be seen as the heat coming up from the desert. 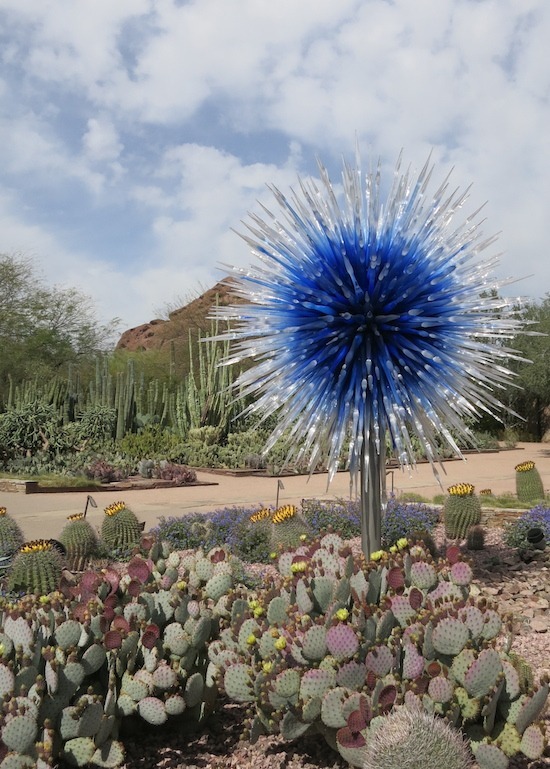 The giant blue burst of color with spiky edges seemed to be right at home with the cacti. 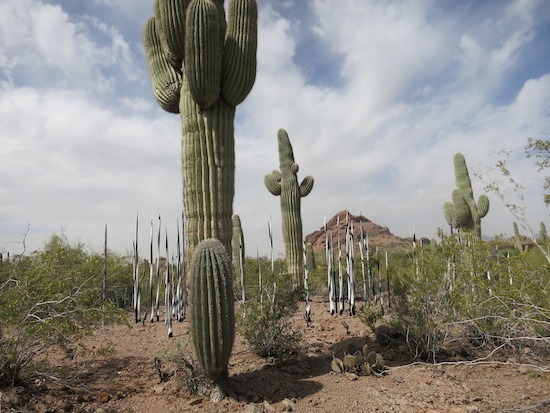 The giant Saguaro cacti don’t seem to mind their sharp glass companions. Loved the way this red glass snaked around the plants. Lovely use of geometric shapes with the vertical glass that seemed to grow from the ground. 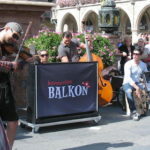 Even adding sculpture as water features the exhibit is woven throughout the gardens. 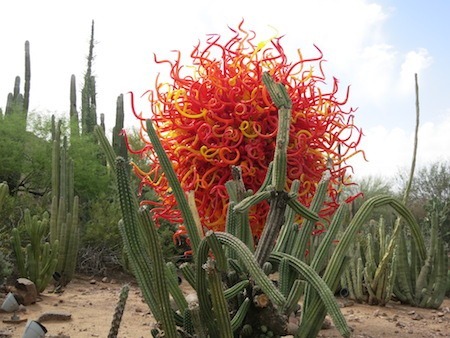 We thoroughly enjoyed our visit to the Desert Botanical Garden and taking in the Chihuly glass was surely an extra unexpected bonus. 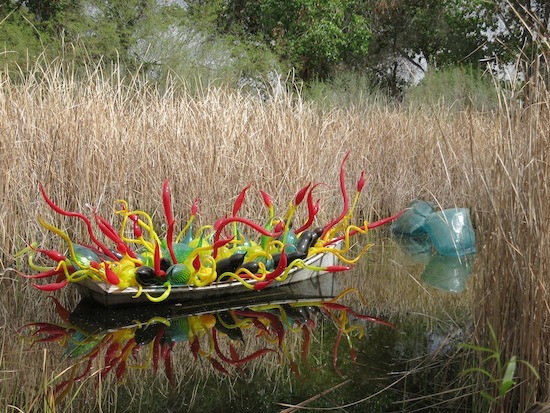 THE QUICK BITE: If you’re visiting Phoenix be sure to explore the Desert Botanical Garden to see the beautiful exhibit of world renowned artist Dale Chihuly whose glass will be on display until May 18th.